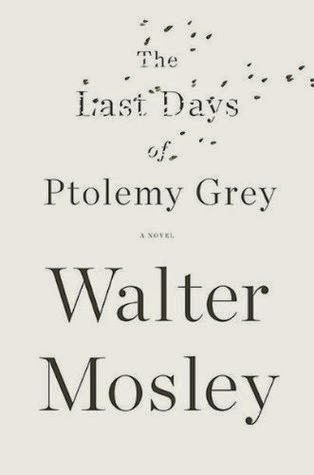 Summary: Ptolemy Grey is ninety-one years old and has been all but forgotten-by his family, his friends, even himself-as he sinks into a lonely dementia. His grand-nephew, Ptolemy's only connection to the outside world, was recently killed in a drive-by shooting, and Ptolemy is too suspicious of anyone else to allow them into his life. until he meets Robyn, his niece's seventeen-year-old lodger and the only one willing to take care of an old man at his grandnephew's funeral. But Robyn will not tolerate Ptolemy's hermitlike existence. She challenges him to interact more with the world around him, and he grasps more firmly onto his disappearing consciousness. However, this new activity pushes Ptolemy into the fold of a doctor touting an experimental drug that guarantees Ptolemy won't live to see age ninety- two but that he'll spend his last days in feverish vigor and clarity. With his mind clear, what Ptolemy finds-in his own past, in his own apartment, and in the circumstances surrounding his grand-nephew's death-is shocking enough to spur an old man to action, and to ensure a legacy that no one will forget. Review: This book was a welcome change from everything that I have been reading lately - definitely not YA, and definitely not full of magic and fantasy! And because of that it stood out all the more, I think. One of the goals that I have in mind for 2015 is to try to read a wider range of genres, and that was partly why I picked up this book. Ptolemy Grey is 91 and in the early stages of dementia, and this is the story of how a young girl named Robyn comes into his life and changes it for the better. It's a story of how there's still living to be done no matter how old you are, and an exploration of Ptolemy's life and the people that have meant the most to him over the last almost-century. It's also a story of racism and black culture in the US, of family and love and violence and betrayal. It takes us through Ptolemy's childhood and the things he's experienced and seen - horrible things - and also the loves of his life. All of this is shown to us through his memories, both unbidden and reclaimed as the book unfolds and he pushes back the shroud clouding his mind. There are some incredibly poignant moments as Ptolemy struggles with his own mind and considers the perceptions of those around him, and we see his strength and the type of man he is, 'even' at 91. It's by turns entertaining, soulful and incredibly moving, and I thoroughly enjoyed it. If you have any older relatives, like I do - my grandmother is 89 - then it may hit even closer to home. I'd recommend it and I'm glad I took a chance on it.